Editor's note: Gregory Fino also authored, "An Uncensored Story of Trauma, Substance Abuse, Education, and Redemption" found in this Issue. “Sticks and stones may break my bones, but words can never hurt me.” This redundant, coined phrase holds a significant amount of validity. Words can in fact, make an individual “better,” if used in an appropriate manner. Specifically, written words, making up some form a literature. Writing, has been proven time after time, to be extremely successful in psychotherapy, and professional counseling, but it is nothing new in the world of psychology and psychiatry. Psychotherapists have been using letters and words, put together by their patients to create various forms of visual communication for years. As well as serving as a tool that is useful for personal development, introspection, insight, and emotional wellbeing, writing used as a form of therapy has been proven to be especially useful in treating those who have experienced trauma. Recent “research conducted by Dr. Arnold Van Emmerik, of the University of Amsterdam, studied the efficacy of writing therapy in cases of co-existing depression and post-traumatic stress disorder (Furnhak, 2013).” Findings at the end of the study, showed that symptomology of both disorders, drastically decreased in individuals who took part in the study. Individuals suffering from anxiety disorders, including post-traumatic stress disorder, experience symptoms such as racing thoughts, intrusive thoughts, shortness of breath, and panic. Simply focusing on transferring ink to paper, and purging the inner most thoughts of the psyche, is an excellent distraction, shifting the focus onto the message being created, not the web of turmoil occurring psychologically. Writing is therapeutic in so many ways, and often it is redemptive, as it frequently helps because always it consists of a commitment to change, in some way (Furnham, 2013). At its core, writing becomes a journey for the writer, especially when it is autobiographical, which usually involves the past. 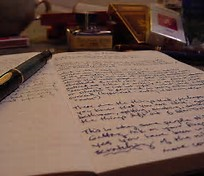 Many times, that past place is a better place, providing the writer with encouragement to return to that state of being. When it comes to disorders such as post-traumatic stress, which often is manifested with periods of long isolation, “’therapeutic alliance’ is the feeling that one is better accepted, respected, and understood (Murray, 2002).” This empathetic type of understanding, is often accompanied by the delightful responses of those who read the actual writing. Often, many people will take interest in the writer’s words, and often, the writer feels as though he or she has allies helping them on their journey (Murray, 2002). Also, in relation to isolation, one of the positive consequences of writing, for the individual writing the story, is the stimulation to read others work, causing social interaction. As stated, research continues to support the fact that creating writing is an extremely useful, and effective form of psychotherapy and treatment. Also as states, it is particularly useful when utilized by those experiences stresses and trauma related symptoms. Some form of expressive writing should be included in all treatment plans, and all those receiving treatment, are highly encouraged to at least attempt one creative writing session, to assess its efficacy. The pen is indeed mightier than the sword. Sticks and stones will indeed break one’s bones, but written words cannot, and will only most likely help alleviate distress. Furnham, A. (2013). Writing As Therapy: Scribbling May be Better than Therapy. A Sideways View, Pages 1-2. Hinsull, September. (2013). Writing as Therapy: A Silence That Speaks Louder Thanksgiving Words. Murray, B. (2002). Writing to Heal. American Psychological Association, Page 54.